We will be partnering with Art Haven, a Non-Profit art enrichment program, in our art class this year. 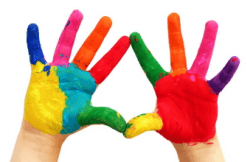 Art Haven provides high quality art education specifically designed for elementary age students. Each lesson teaches about an artist, culture or historical period, as well as a skill or design concept. Additionally, students are exposed to a variety of mediums to encourage their artistic exploration. Your child will discover art history and culture while using their imagination to turn ideas into reality. Dress for mess and join us this session for creativity and fun! Art Haven curriculum exceeds state and national standards for visual art. Each instructor is trained and passionate about teaching art.